PRIME Minister Narendra Modi on Thursday said that the BJP is committed to passing the Citizenship (Amendment) Bill once the NDA returns to power after the ongoing Lok Sabha polls. 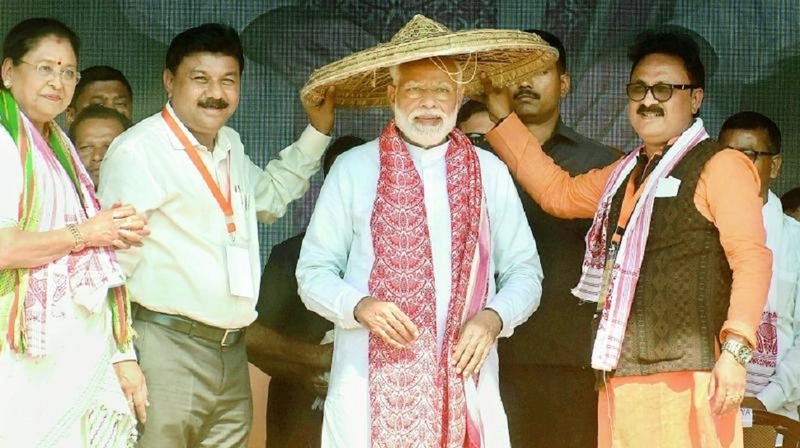 The Bill will be amended after proper consultation with all sections of the society and ensuring safety of the Assamese community, Modi told a poll rally here, his second of the day in Assam. Protection to Assamese language, culture and identity will be ensured while considering the Bill again, he assured. The Bill had been passed by Lok Sabha by Modi Government on January 8 but was not introduced in Rajya Sabha. The Bill is now set to lapse on June 3. Slamming the Congress, he said it did not think about the minorities in Pakistan while dividing the country during Independence. PRIME Minister on Thursday slammed the Congress for indulging in corruption and said a new scam “Tughlaq Road Chunav Ghotala” by it has come to the fore. In the new scam crores of rupees meant for nutrition of poor children and expectant mothers have been seized even even as old cases of corruption against it are still on, he told an rally here.